I hope you had a great summer and can enjoy the last sunny days. :-) During the last few weeks I completed various projects. I am going to publish them in the coming days. 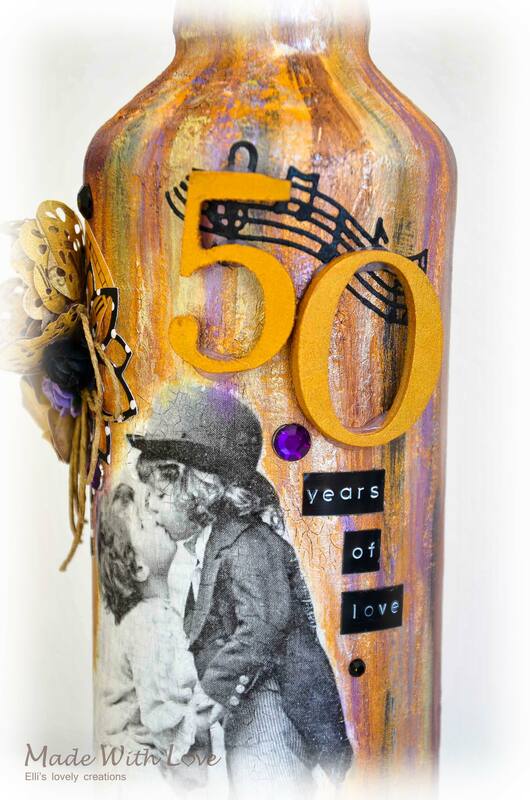 The first one is a Mixed Media Decoupage Altered Bottle for a Golden Anniversary. 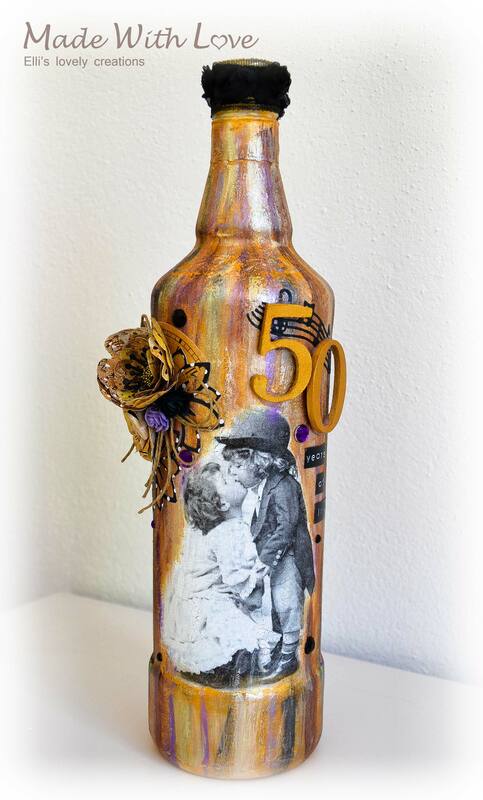 It was made to an order for newlyweds. I love the background coloring technique – it’s really simple, but very impressive. Lover the colour on the bottle, Amazing! Totally STUNNING!! 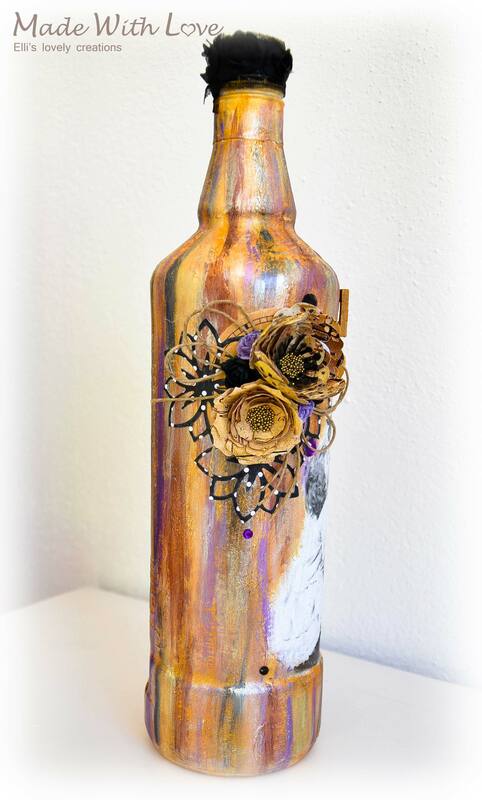 You created a gorgeous altered bottle. Love the colors, the textures and the image. 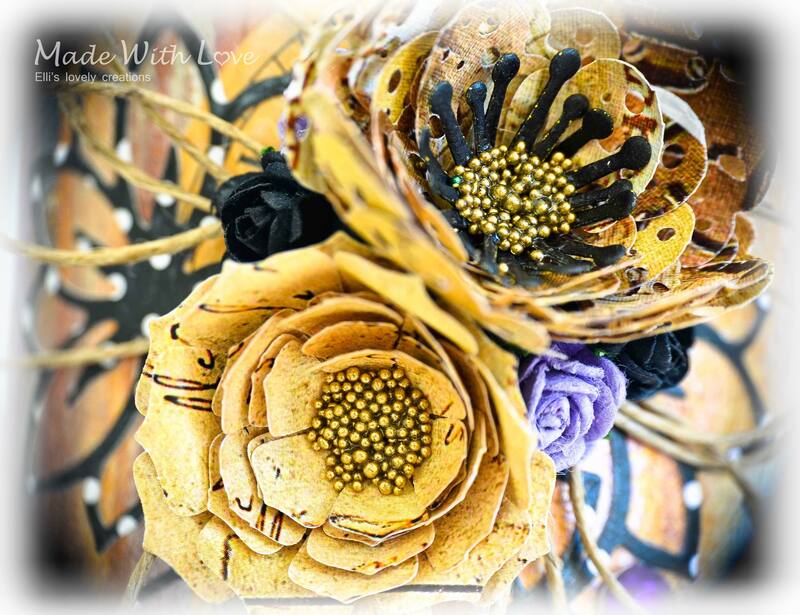 Absolutely Gorgeous and so delighted you shared with us at Mixed Media World and we hope you will join in our next challenge as well. Oh, wow! What a beautiful gift. 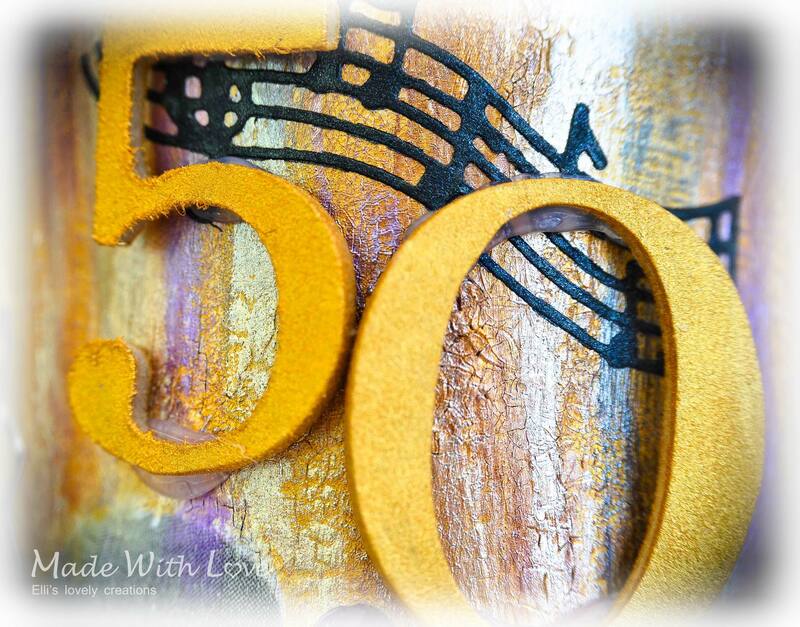 Thanks so much for sharing it with us at Crafty Time Challenges! What a sweet make! Love the goldeness! Thank you for joining in with Rhedd's Creative Spirit. Totally unique and an amazing keepsake. 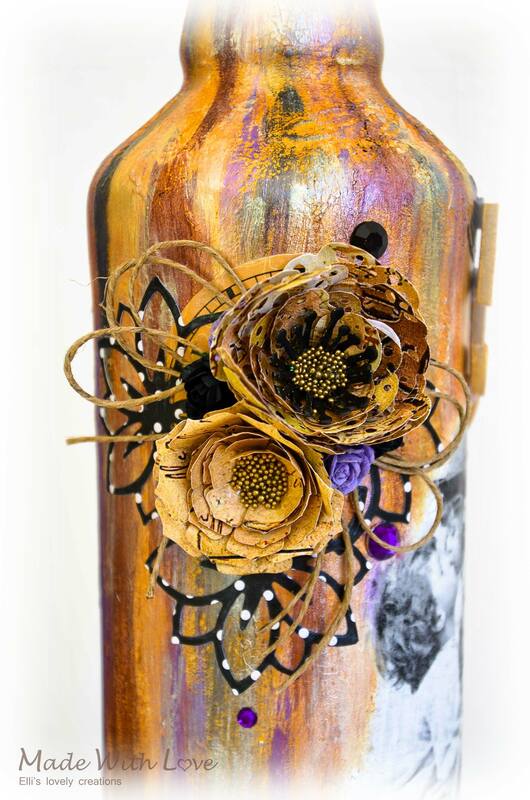 Thanks for joining in with the Sisters of Craft Challenge, good luck and best wishes, Anne DT. 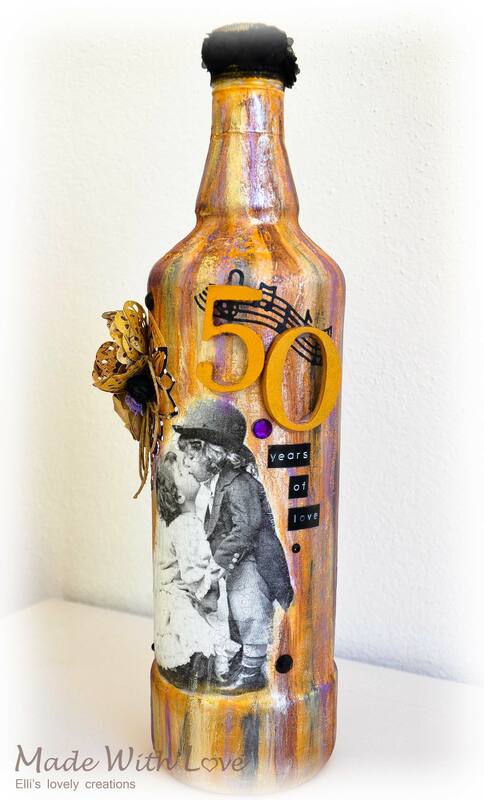 I love this bottle… stunning!!! Beautiful project. I adore the little image… its the cutest thing! 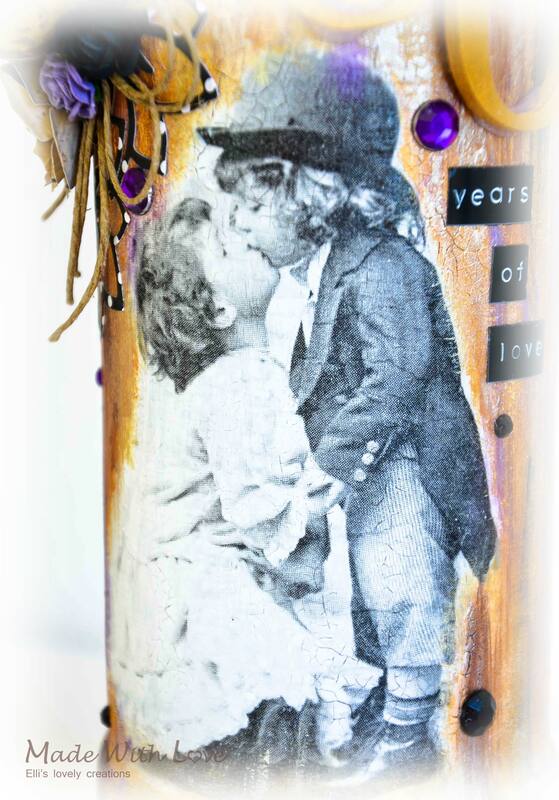 Thanks for sharing your creation with us over at Where The HeART is. Looking forward to seeing some more of your makes in the future. Wow. What a beautiful project. I know that the recipients will love it. 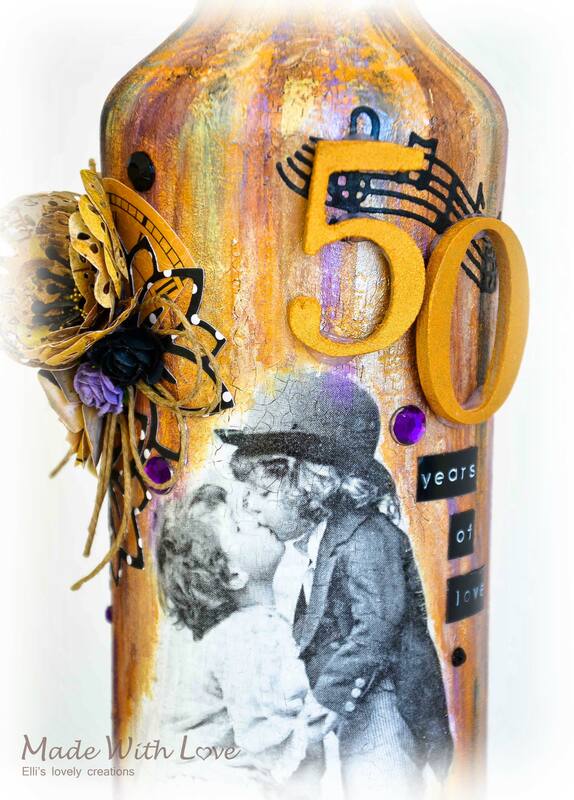 Thanks for playing along with my challenge at Stampotique Designers Challenges. Splendid make, great colours and embellishments. Thank you for joining in our Sparkle challenge at Allsorts this week.